Aamir Khan – Tom Hanks of Bollywood ? He’s not having charm like SRK in Bollywood and Tom Cruise in Hollywood, not having guls alwayz around & after him like both of mentioned earlier. But he is a Tom Hanks of Bollywood. Yes, the image of Aamir is just like Tom Hanks. The acting & the the way he represents we can compare Aamir with Hanks. Aamir has also said that he want make a remake of Hollybood blockbuster, ‘Forest Gump‘. It was the movie in which Tom Hanks played a fantastic role. Let see, What’s next Mr. Perfectionist Aamir Khan will do, after the recent blockbuster ‘Ghazini‘, which was the remake of Tamil movie with same title. Actually “Ghazini” is a remake in hindi and tamil both. Yes its a remake of hollywood movie”MEMENTO” (2000):) It is not a nice movvie only but great work of cinematography and thats why it is nominated for two categories in oscar and other 32nominations with 42 awards. I heard that amir khan is going to remake forrest gump in 2009 january but still it didn;t happened..The movie has impressed Aamir so much that on being asked which film he would choose to do as a Hindi remake after Ghajini, he says, “It’s Tom Hanks‘ Forrest Gump. I have seen this film. It’s a wonderful movie. 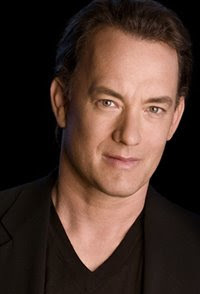 Tom Hanks has done a fantastic job. If I get an opportunity to do a remake, it has to be Forrest Gump.” Forrest Gump is the story of a man with a low IQ. He has accomplished great things in his life and been present during significant historical events. But despite all that he has achieved, his one true love eludes him. According to an estimate, the film turned out to be a huge commercial success, earning US$677 million worldwide. It became the top grossing film in North America released that year. The film won six Academy Awards, including Best Picture, Best Visual Effects, Best Director, (Robert Zemeckis), and Best Actor (Tom Hanks).